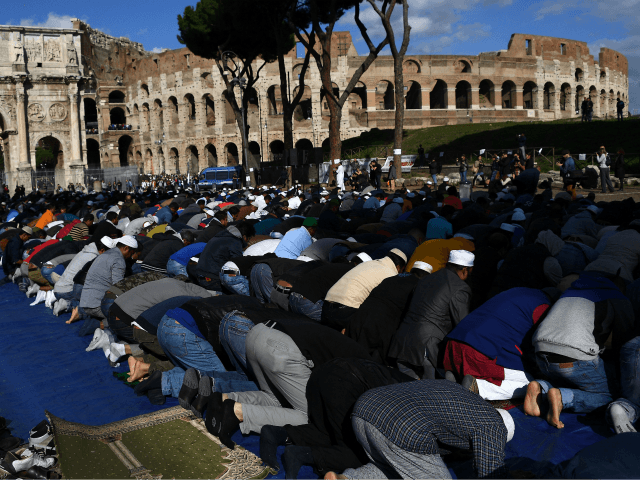 ROME — An Italian bishop has said that he would be willing to see an end to Christianity and the dominion of Islam if it meant saving migrants’ lives, Italian media reported Monday. “Morally and as a man of faith I would be willing to turn all churches into mosques if it were useful to the cause and if it helped to save the lives of poor and unhappy men and women, because Christ did not come to earth to build churches but to help men regardless of race, religion, or nationality,” said the former bishop of Caserta, Raffaele Nogaro, earlier this month. “And instead there are politicians who in their speeches continue to preach of deportations and the worst thing is that they do it with the crown and the rosary in hand and taking the name of God in vain, a very serious sin,” Nogaro said, in reference to a famous image of Interior Minister Matteo with the rosary in hand. During the campaign leading up to the March 4 elections, Salvini, the 45-year-old leader of the League party, waved a rosary and swore on the Christian Gospels and the Italian constitution while addressing a huge rally in front of the Milan Cathedral. This movement, despite moral support that goes all the way to the top with Pope Francis, has begun creating a divide between rank-and-file Catholics and the hierarchy. In a major poll earlier this month, Salvini turned out to be the most trusted politician in this predominantly Catholic nation. When Salvini denied permission to debark to the NGO vessel Aquarius that was carrying hundreds of African migrants in late June, the Italian bishops were among those protesting most loudly. “It is Jesus coming to us on a vessel, he is in the man or child who drowns, it is Jesus who fishes through the garbage in search of a little food,” said Sicilian Cardinal Francesco Montenegro in a homily shortly afterward.